Good to know, huh? 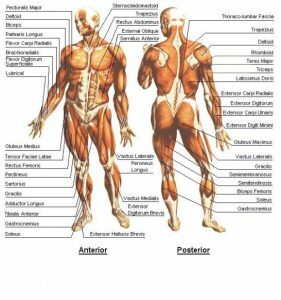 I match up the organs with the muscles/joints for you below but you need a little more info. Dr. Goodheart, the father of muscle response testing, discovered that there was a correspondence between an organ dysfunction and a specific muscle set dysfunction. Dr Thie developed this information into Touch for Health, a self help method for structural problems. What I learned in Touch for Health and have had demonstrated by many clients is that painful joints are caused by muscle tension across that joint, and, that muscle tension develops as a result of organ dysfunction. Muscle problems usually relate back to an organ dysfunction (see table below). Muscle tension is the underlying cause of joint pain. Click to enlarge. By way of example, stomach dysfunction will manifest in the following muscles: Levator Scapulae (hang with me I’ll be done the technical stuff real quick like), the anterior neck flexors and extensors, Brachioradialis, and Pectoralis Major Clavicular. OK done. When the stomach is in distress any or all of these muscles tense, and THEN the associated joints that they cross will begin to wear down. Ta dah, arthritis! If you knew which joints these muscles cross you can see which joints are associated with stomach dysfunction. Good to know, huh? So below I’ve summarized all the info into one table to help you trouble shoot where the origin of your problem may be. Information about muscles and specific joint problems are found in those posts. If you have specific long-standing or recurring joint problems, this table can help you narrow down which organs may be involved or responsible. Then you can go to those corresponding organ posts to see if you have other indicators of that organ’s dysfunction. Natural remedies will be given there. Begin by nourishing that organ into proper function and make note of your results. If this dysfunction tends to be genetic, you may need to support that organ at some level for the rest of your long life. Finally, to arrest the wear-and-tear on the joint as you are working on the underlying causes, I recommend using a massager to relax the muscle tension around the joint. 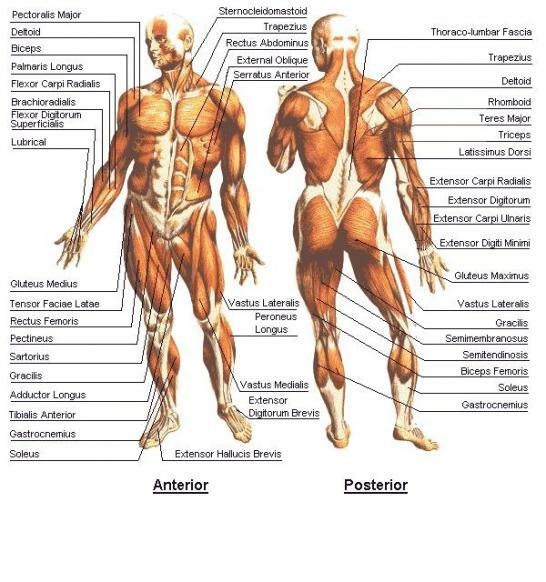 If you have specific joint problems and want to find the associated muscles, just do a google search on the muscle(s) listed (or search elbow muscles) and then clik on ‘images’ to see exactly where they are. Then you can palpate the muscle(s) looking for tender areas. Those are the areas to massage. When you start building up the joint faster than you are wearing it down, the pain will resolve. Thanks so much. I learned all this in massage school but that was a long time ago. It’s such valuable information. Now that I”ve reached the point where aging is beginning to show up in my joints, it’s good to have a directory that leads me back to what I, at one time, knew. I appreciate your clear and understandable approach.